Built in 2007, Vision on State is a 19-story high-rise in Chicago's South Loop. 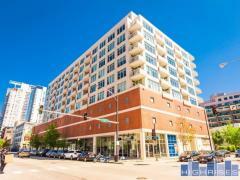 Amenities at Vision on State include garage parking, a gym, doorman, and a dog run. Have any comments or questions about Vision on State? Ask your question and/or share your thoughts about this Building.